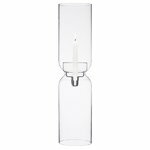 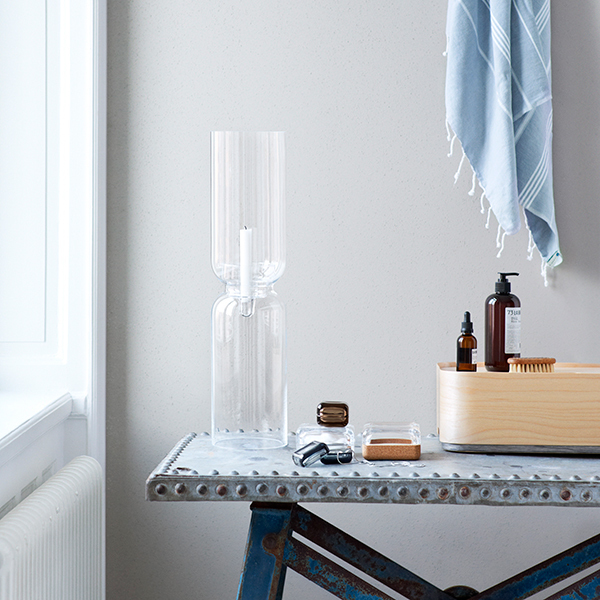 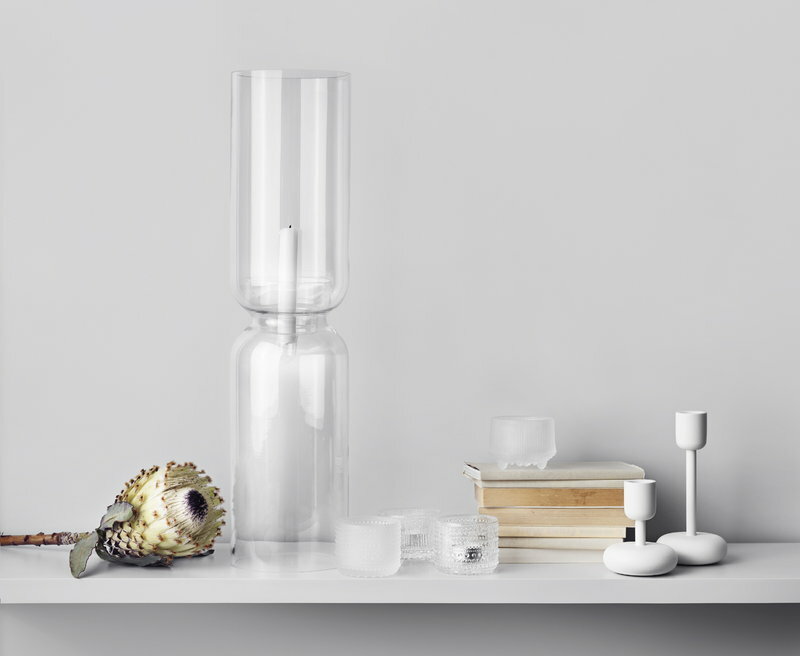 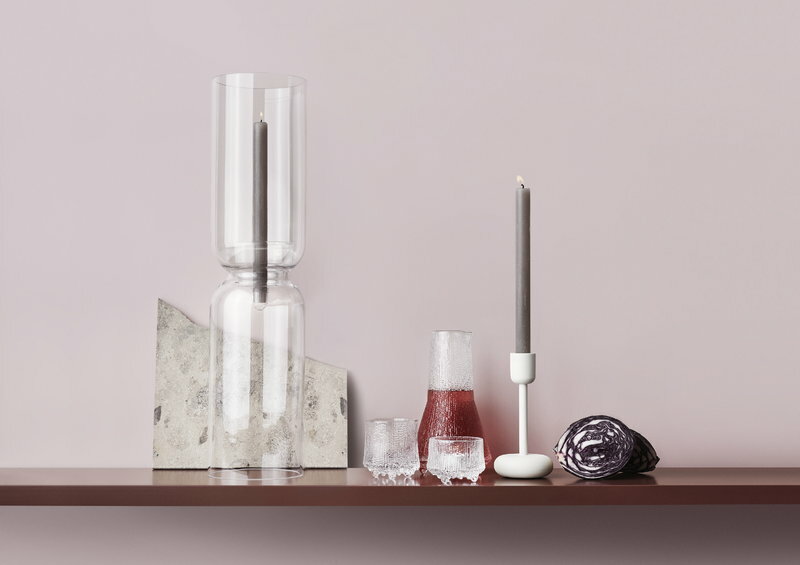 Iittala's iconic Lantern by Harri Koskinen is suitable for a tealight. 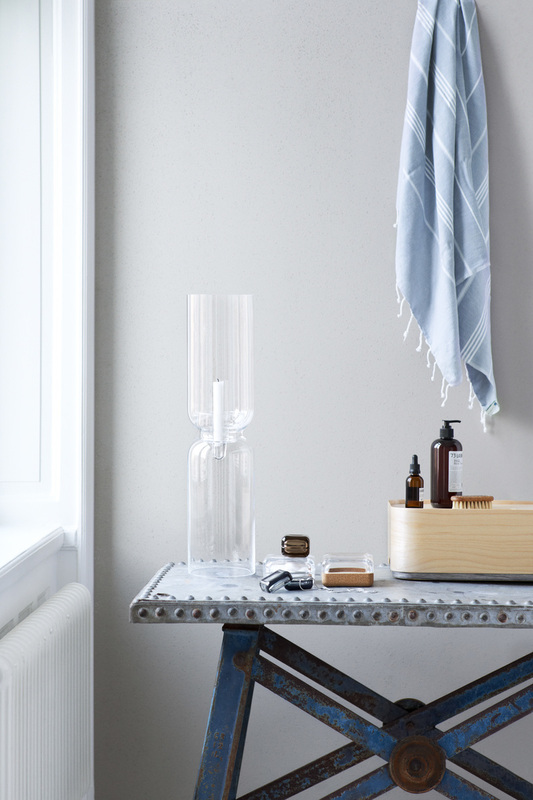 The clear Lantern is a beautiful decoration object on its own. 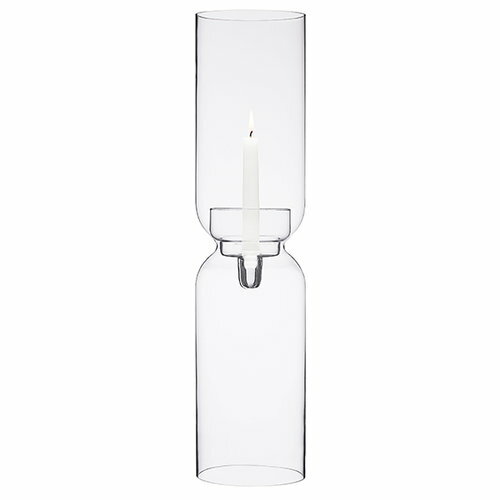 The candle is placed in a separate part that is easy to remove and keep clean.